To a certain degree the history of the children who were forcibly removed from their parents, then hastily baptized, and sent to the Portuguese island colony of São Tomé in 1493 is highly speculative after the initial event in Lisbon. The first two facts—kidnapping and forced conversion—have general agreement amongst historians; however, how many children were involved and their ages is still subject to some debate. More significantly, what happened to them during the sea voyage to Africa and how many survived the trip and the first months and years in the tropical heat and subsequently over the next several generations down to the late sixteenth century is not agreed on—and often contested vociferously. During the past two years, thanks to Dr. Moshé Liba, former Israeli Ambassador to São Tomé y Principe, with whom I have collaborated in editing a forthcoming anthology of documents and essays, more of the actual history of these children and their descendants can now be verified, although, to be sure, any interpretation of how their pains and grief were passed on for more than three generations remains speculative. [i] Nevertheless, when we line up, as it were, the data from archival sources—chronicles, ecclesiastical and administrative reports, and wills, along with early historical works—along with fairly certain outcomes of the trauma this group of individuals underwent, we can start to get much closer to a probable set of events. For these two thousand children between the ages of two and twelve for the most part to have been taken from their mothers and fathers clearly constitutes an abusive event and we can be fairly certain that each child experienced those moments as traumatic. The state records of the Portuguese crown, as well as Jewish chronicles and memorial writings, further clarifies that these children were not originally Portuguese, but belonged to the families of Jews from Castile expelled by the Catholic Monarchs the previous year in 1492, and hence formed part of the Sephardic community that most resisted conversion over the previous hundred years, since the persecutions and pogroms following the 1391 riots. Moreover, these Jewish children belonged to those families who could not pay the required transit tax imposed by the Portuguese government and consequently were declared slaves of the king. In brief, these young Jews, whether they were intellectually aware or not, grew up into circumstances of tension, anxiety, fear and dislocation, a situation in which it is likely that parents would become either overly distant and harsh to their offspring, imposing non-traditional modes of discipline in order to maintain some semblance of control on the family, or, which can be as harmful, smothering the boys and girls with excessive sentimental care. It is known that on such occasions as the actual removal of the children by soldiers and priests that many Jewish parents either killed their children or themselves or both, increasing the horror of the scene for those who survived the day. While some scholars object to the number of deported children as two thousand on the grounds that the ships available to the São Tomé captains—who were granted the priveledge of taking this cargo as slaves to be brought up as future workers or administrators of the sugar industry—were too small for so many passengers. But surely the fact that only about six hundred children survived the voyage is an indication of the cruelty involved in stuffing them into cramped and unhygienic quarters for the duration of the voyage; and thus another reinforcing aspect of the trauma, the pains, physical and psychological, being stored up in the minds and bodies of the victims. Other historians are skeptical of the claim that Jews were made slaves by the Portuguese government, and yet the documents that Dr. Liba and I have examined show that this is exactly what happened, first to the families that had crossed over to Portugal from Castile and could not pay their transit tax: they were claimed by the king as his property and distributed to his vassals around the country. He also handed over the young children to the Captains appointed to govern São Tomé, and some twenty-five years later they were explicitly manumitted in the wills of these officers. Given that economic motives is only one of the rationales for slavery, we have to take into account the other reasons, albeit a motive that is not stated in legal terms but is spoken of in private letters: namely, cruelty, or to be more accurate, as a means of expressing outwardly the rage, frustration, and lust that should not be meted out on one’s family. Thus from Roman times social commentators have recommended having slaves in the household to beat rather than a wife or a child, of venting one’s sexual desires and anger on a serving girl or boy rather than incestuously on one’s own sons and daughters, or, which sometimes amounts to the same thing, to abuse and humiliate one’s slaves merely to clear the mind of bad feelings. This kind of constant violence is indicated indirectly in the subsequent behaviour and attitude of the children when they grew up and their descendants as they inherited their parents internalized anger and fears, that is, the somatized and probably inarticulate memories of the original trauma of the kidnapping and exile, a trauma reinforced with each subsequent act of cruelty and abuse. After marrying with African slaves brought to São Tomé, the Jewish children produced a mestizo population notorious for both its obstreperousness and cruelty. 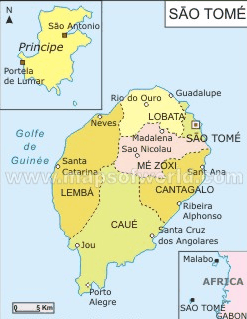 São Tomé became known as Portugal’s least manageable tropical colony, one where the native elite, mostly the mestizo landowners, still called New Christians way into the eighteenth century, resisted rule from the metropolis both by the Crown and the Church. The island was also feared as one of the worst places for slaves, either those kept in camps before being trans-shipped to the New World or those working on the sugar plantations or other enterprises. Though later settlers and government agents came to the island from the metropolis or territories of Portugal, the character of São Tomé was set by the traumatized Jewish children who arrived in 1493, and this character bears the hallmarks of victims of massive abuse: projected violence against others, resistance to authority, dissociation of feelings of sympathy to one’s family and friends, and a general restlessness. Granted there are no documents to prove this in a conclusive way and no attempt has been made to exhume the bodies of the families known to have belonged to these despised New Christians to see if there are any signs or patterns of particular wounding, disease, or demographic tendencies, such as excessive early death of young females or males, age-related deformations due to malnutrition against known records of good and bad harvests, sexual diseases in very young children, and so forth. Nevertheless, the unusual behaviour of the island’s population as a whole registered in the history of its first two centuries of development does alert us to a search for other kinds of evidence. This mestizo elite that we have spoken of seems to have moved away from São Tomé in large part in the final years of the sixteenth century, at the very time when Brazilian records speak of “Jews”, meaning New Christians, arriving from the island to set up and develop the incipient sugar industry in that South American colony. The economic and social motivations are clear. Dutch, English and French pirates, privateers and naval forces raided and temporarily occupied São Tomé, making it difficult for the colony to sustain its earlier successes as a major supplier of sugar and slaves. It was also known by then that a higher quality of sugar and at cheaper cost would be produced in Brazil. Meanwhile, because of the instability of the island regime, exacerbated by both the increasing interference by foreign powers and the growing incidence of slave rebellions, Portugal transferred its main slave supply station to the mainland of Africa at La Miña. It is no wonder that the great-grandchildren or even great-great-grandchildren of the Children of São Tomé decided to emigrate to the New World. What is remarkable, however, is that certain facets of their past, probably lost insofar as conscious memories were concerned, surface again in Brazil. Here again we have to rely on speculations rather than hard facts, but the “fit” of the actions with what we expect of long-term repressed memories at least makes a case for further research. Though successful in the sugar industry under colonial rule by the Portuguese, when the Dutch conquered the northeast quadrant near Recife and set up its short-lived Protestant regime, many New Christians in the area—and perhaps from further afield—took the opportunity to leave the jurisdiction of the Portuguese Crown and the Inquisition to return to Judaism and join the small and growing Jewish community that was fostered by the Amsterdam synagogues. At the same time, in a paradoxical action that again alerts us to possible explanations in the bizarre behaviours of the children of trauma victims, the migrants from São Tomé, black slaves and mestizos included, were active in the guerilla war against Dutch rule and the call for the return of the Catholic Church and its Holy Office. It will be difficult to prove either the historical connections and even more so the possible psychohistorical dimension to the events in the mid-seventeenth century in this area of the world. Yet again I believe there is a case to be answered: in other words, the questions raised are worthy of further research. 1) Gloria Mound, "Continuing Jewish Customs and Folklore in Ibiza and Formentera".Proceedings of the Eleventh World Congress of Jewish Studies, Division D, Vol 11; Art, Folklore and Music (Jerusalem; World Union of Jewish Studies, 1994) 143 - 150. 2) Haim Shapiro, "Lies my Ancestors Told Me", The Jerusalem Post, August 19,1994, 10 - 12. They inherited their parents anger and fears probably reinforced by cruelty and abuse. They married African slaves brought to São Tomé creating a mestizo population notorious for obstreperousness and cruelty. Most probably left São Tomé at the end of the sixteenth century when Brazilian records speak of ‘Jews’, meaning New Christians who set up and developed the sugar industry. Many New Christians in the area—and perhaps from further afield—took the opportunity to leave the jurisdiction of the Portuguese Crown and the Inquisition to return to Judaism and join the small and growing Jewish Amsterdam community.